Every year before Thanksgiving, I put in an offer to make the pies for our family gathering. Last year I won. I do consider it winning. Think about it, you can bring the rolls, green bean casserole, or pies. Which is the most glamorous? This year, as I have mentioned, the Thursday holiday will be at my home. I get to delegate who prepares what. This is an advantage. For instance, nobody makes better stuffing than my mom. Guess what I am going to ask her to prepare? Since I am doing pie, the most important item after the bird, I figured dessert needs to be good enough for people to talk about long after the day has ended. So, last night I practiced. This is the result. A truly home made pumpkin pie. From the crust to the roasting of an actual pumpkin and carving out it’s innards, I did it all. It is the best pie of any variety I have ever consumed. The pumpkin flavor is far stronger, so if you are on the fence about pumpkin pie to begin with, this may not be your thing. For that reason I also plan to make a pumpkin-chocolate pie in addition this marvel. I’ll add one or two other pies in there as well. I think an apple pie is in order, and then maybe something different that the usual such as key lime or cherry. Only 23 days remain before Thanksgiving. I hope the turkeys don’t fatten too much before then, already all three appear too large for the oven. Yum! How much work was it to make the pie completely from scratch? I love roast pumpkin seeds and we only carved one pumpkin instead of 6 this year, so there are no more roasted seeds left. Yesterday, I began to ponder making pies completely from scratch so I’d have seeds to roast again. Did you use pie pumpkins specifically? That is sweet. 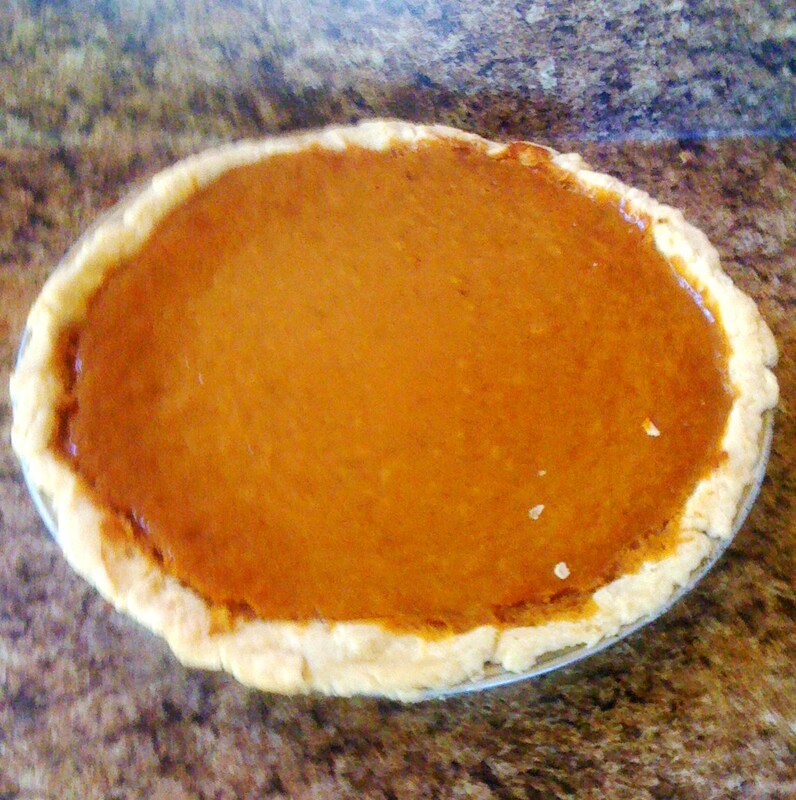 I don’t think I’ve ever tasted a pumpkin pie completely made from scratch. Send me a piece please.